A1 Furniture has been specialising in Fine Quality handmade Leather Chesterfields since 1962. 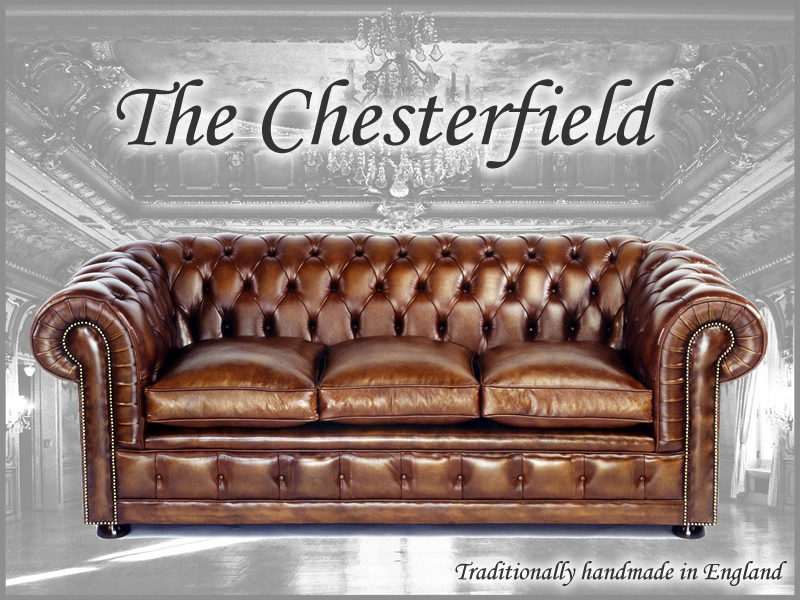 We offer a range of different Chesterfield Collections to suit your needs, taste and budget. Right from our Top of the range Oxford Chesterfield Sofas to our lower priced Chelsea Chesterfield Collection, our suites are all traditionally hand made by our own experienced craftsmen within our factory in Enfield (North London). This petite Chesterfield suite has plain back with beautiful solid tapered legs. If you are within driving distance, please contact us to arrange an appointment to come and see how our Chesterfield suites are manufactured. You will have the unique opportunity to see how the hides are carefully selected and the patterns cut. The patterns are then sewn ready for being upholstered over the solid frame. By seeing what is involved in the production process you can fully appreciate the work involved in our traditional hand made furniture. This is an opportunity that you will not usually be able to experience when buying your Chesterfield suite. You will also see the finer details; how we manufacture the buttons individually by hand, how every nail is individually hammered to make this quality upholstered furniture. 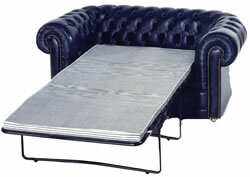 Our Chesterfield Upholstery is of the highest quality and should be seen to be fully appreciated. As you will see from the prices, our Chesterfield sofas are very good value for the quality and this process of traditional making. Our prices are kept so low because you are buying direct from the manufacturer, rather than going through a third party. If you require a special size we can manufacture to your own specifications by increasing or decreasing the width of our Chesterfield sofas by one diamond at a time. To arrange your appointment to visit us please contact us on 020 8443 2827. If you you require any colour samples of leather please contact us and we shall send you a cutting straight from the hide.